Ivy F. Cooper combines compassion and commitment to support women and men in developing loving relationships with their bodies at any size. The Certified Holistic Health Coach and Body Image Expert focuses on highly individualized, sustainable lifestyle design plans that help her clients develop wellness habits without body shame or body bullying. Her unique approach to Body Relationship Coaching stems from her personal life challenges with body image issues due to weight fluctuations caused by PCOS and insulin resistance. That’s the driving motto behind Ivy’s body positive movement, See Body. Love Self. Her tribe and her clients celebrate Ivy’s nurturing spirit and wealth of information and credit her with helping them create strategies for holistic self-care at any stage of their wellness journey. Ivy uses simple strategies, mindful accountability techniques, intuitive listening, and her ongoing training to facilitate the shifts in mindset and strategy that help people achieve long-term, positive changes in their relationship with their body. 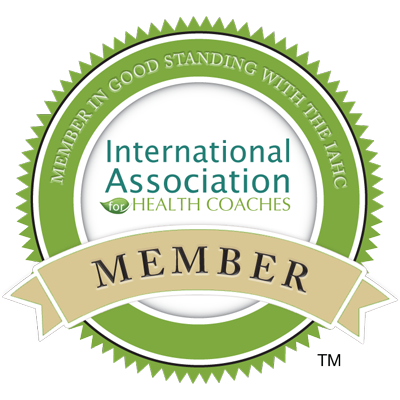 Her active memberships in The International Association of Health Coaches and The Association for Size Diversity and Health help her stay attuned to the pulse of the primary obstacles to body love and acceptance. This ongoing awareness of the emotional wellness challenges in body acceptance drive Ivy toward changing the face of wellness from skewed social standards to love and appreciation based lifestyle choices for people of all sizes. In addition to personal coaching, the intuitive and resourceful wellness entrepreneur is also a writer and empowerment speaker. Ivy regularly contributes to several blogs with her messages of authentic personal development and holistic wellness, and also co-hosts the interactive wellness show, Chat, Chew & You. Grab Ivy’s complimentary Body Positivity Worksheet when you sign up for her Body Love Newsletter. Have You Tried My Body Relationship Breakthrough?